In November Chew Design have been busy working with our new client, Greater Village Regeneration Trust in Belfast. 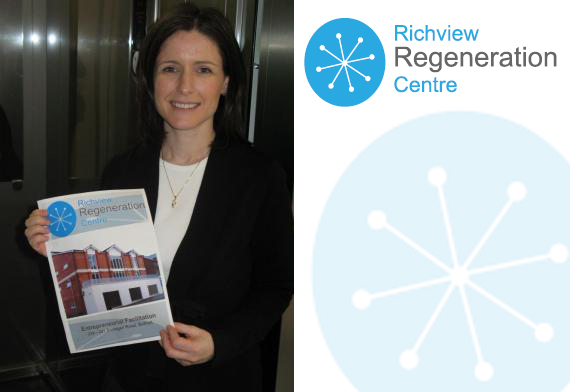 We helped create a new identity for their latest project, Richview Regeration Centre located on the Donegall Road. The centre aims to become a resource and base for new businesses in the area and therefore ultimately help the Village area of Belfast for the future. 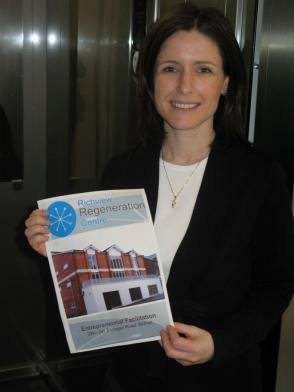 Pictured above is Paula Bradshaw, Director of Greater Village Regeneration Trust holding a copy of the scheme’s new identity proudly crafted by Chew Design.